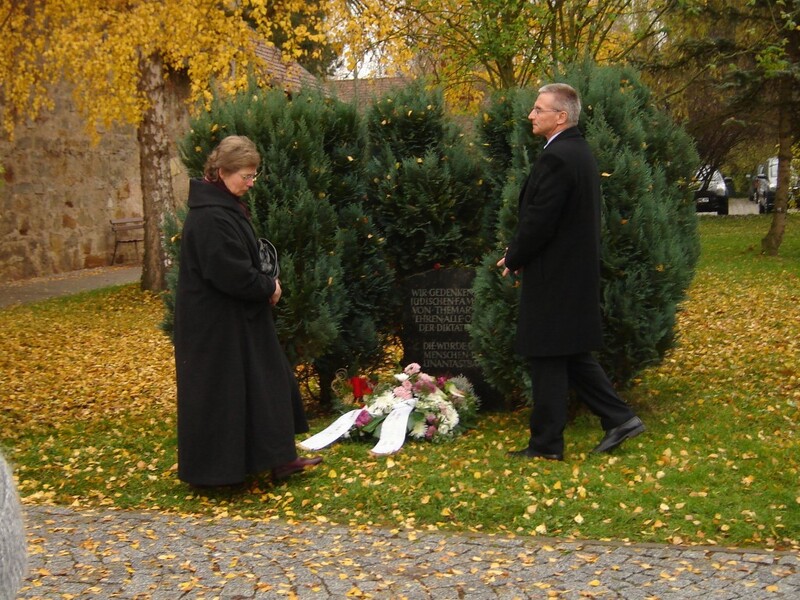 In November 2008 the City of Themar commemorated the 70th anniversary of Kristallnacht with an exhibition in the Amtshaus called “Sie waren Themarer/They were Themarens,” a special presentation, and a commemorative service. 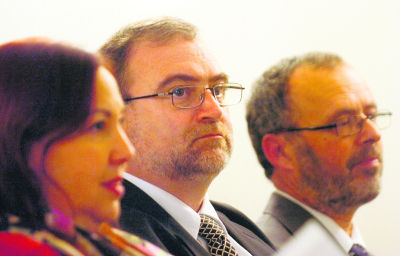 At the same time, the “Anne Frank” School held a workshop for interested students on topics related to Jewish culture. The Amsthaus exhibit can be viewed here, and pictures of the school workshop here. The following May, 2009, the school also presented the exhibit, “Anne Frank in the DDR,” an intriguing exploration of how the diary and person of Anne Frank were interpreted in the 1954-1990 period. 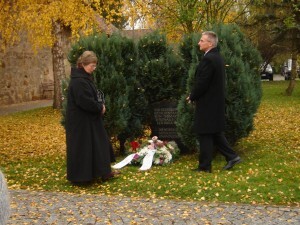 Review of Bernhard Geffke, Themar November, 2009. Credit: Freies Wort. 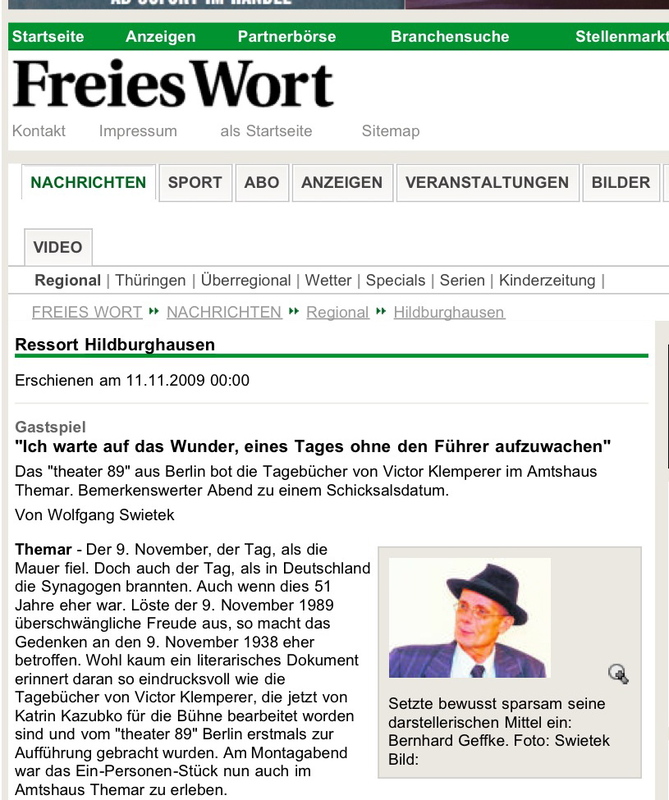 In 2009, the November 9/10 commemorative event in Themar featured Bernhard Geffke reading from the diaries of Viktor Klemperer. In May 2010, Sharon Meen gave a presentation in New York while in the city visiting members and relatives of Themar’s Jewish families.